Man has known the spiritual aspects of numbers since remote antiquity. For centuries civilizations throughout the world have employed numerology as a religious science in their attempts to unlock the secrets of the universe and to gain an understanding of how the individual interacts with the material and spiritual realms of the cosmic order. While it is hard to pin point where, when, why and how numerology began in Hawai`i, according to my teachings, the art of Hawaiian Numerology as a tradition originated from Ke Akua (God) the divine source of all wisdom. The esoteric art of Hawaiian numerology can be best understood in the context of the religious symbol of the trinity. The commonality of this concept is reflected in the basic structure shared by most of the major religions of the world. The ancient Egyptians referred to Isis, Osiris, and Horus; the Hindu faith has Brahma, Shiva and Vishnu and the Judeo Christians believe in the Father, Son, and Holy Spirit. The ancient Hawaiian religion recognized a sacred triumvirate of three major Hawaiian gods including Kū, Kāne and Lono. According to the early Hawaiian religious teachings, each person is also composed of a triune-self consisting of body, mind, and spirit. The harmonious interaction of this triad self is considered essential to achieving personal physical and spiritual well-being. Understanding the mystical order of the universe and the relationship of the triune self to the cycle of life constitutes the basis of this unique Hawaiian Numerology system and practice. A gift of mana (supernatural powers) from Ke Akua to certain kahuna (priests), this knowledge is designed to help mankind better understand the laws of nature and their relationship to the laws of Ke Akua. The early Hawaiian Kahuna carefully preserved and guarded this secret wisdom as a precious legacy and entrusted it over many generations, only to specific chosen one(s). 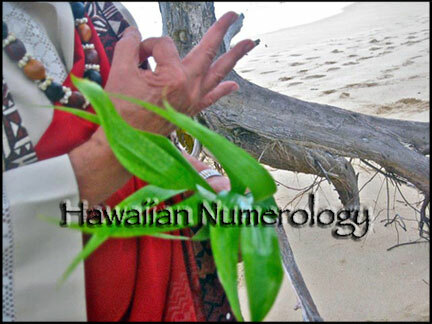 Ka Huna o Na Helu Hawai`i (The Secret of Hawaiian Numerology) has never been shared before but it is about to be revealed here at Kahuna Teachings.